Brig, officially Brig-Glis (French: , Italian: ) is a municipality in the district of Brig in the canton of Valais in Switzerland. The official language of Brig is (the Swiss variety of Standard) German, but the main spoken language is the local variant of the Alemannic Swiss German dialect. The current municipality was formed in 1972 through the merger of Brig (city), Brigerbad and Glis. Together with other Alpine towns Brig-Glis engages in the Alpine Town of the Year Association for the implementation of the Alpine Convention to achieve sustainable development in the Alpine Arc. Brig-Glis was awarded Alpine Town of the Year 2008. The name Brig is derived from Briva, or "bridge." Its older houses are very Italian in appearance, while its most prominent buildings (Stockalper Palace, former Jesuits college and Ursuline convent) all date from the 17th century, and are due to the generosity of a single member of the local Stockalper family, the baron Kaspar Jodok von Stockalper. The prosperity of Brig is bound up with the Simplon Pass, so that it gradually supplanted the more ancient village of Naters opposite, becoming a separate parish (the church is at Glis, a few minutes from the town) in 1517. Its medieval name was Briga dives. 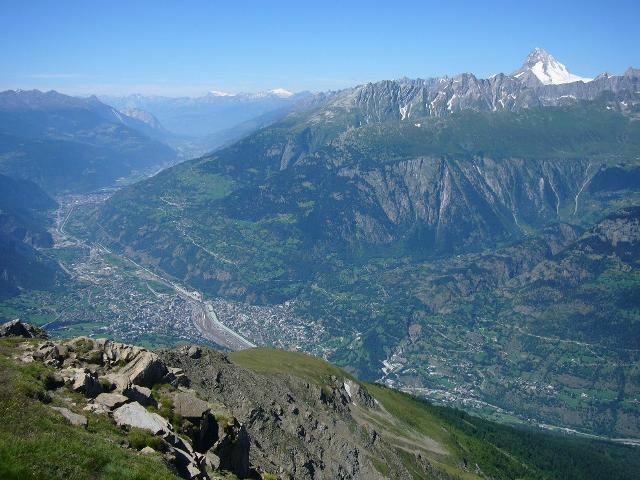 The opening of the carriage road across the Simplon (1807) and of the tunnel beneath the pass (1906), as well as the fact that above Brig is the steeper and less fertile portion of the Upper Valais (then much frequented by tourists), greatly increased the importance and size of the town. It is a picturesque small town in Upper Valais, situated at the foot of the northern slope of the Simplon Pass, on the right bank of the Saltine stream, and a little above its junction with the Rhone. 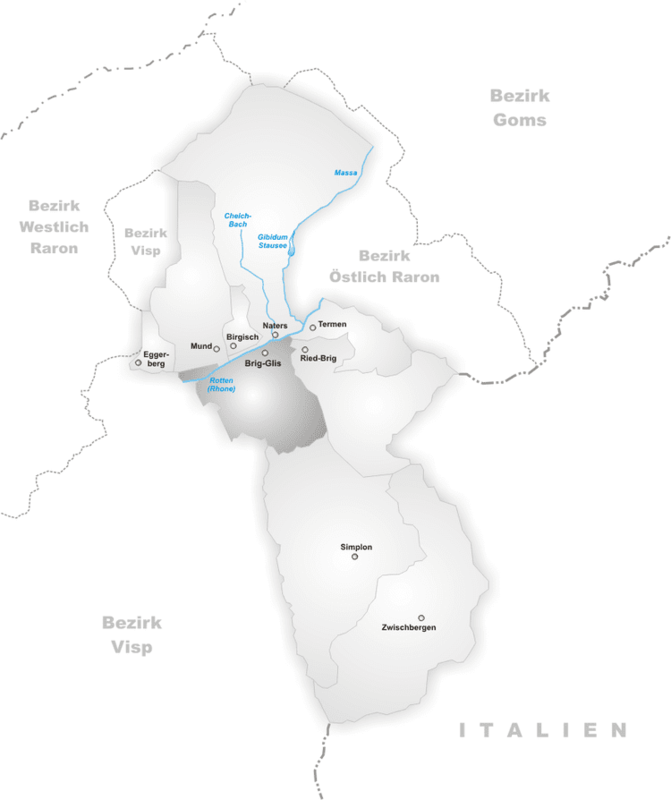 Brig is located close to the Swiss-Italian borders. Brig-Glis has an area, as of 2011, of 38 square kilometers (15 sq mi). Of this area, 13.0% is used for agricultural purposes, while 46.9% is forested. Of the rest of the land, 10.4% is settled (buildings or roads) and 29.7% is unproductive land. As of 2010, Brig-Glis had an unemployment rate of 2.1%. As of 2008, there were 83 people employed in the primary economic sector and about 46 businesses involved in this sector. 1,297 people were employed in the secondary sector and there were 137 businesses in this sector. 6,755 people were employed in the tertiary sector, with 663 businesses in this sector. There were 5,400 residents of the municipality who were employed in some capacity, of which females made up 41.7% of the workforce.